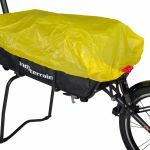 The Mule Plus incorporates the Mule Classic and comes as a bundle including the custom designed propstand, frame liner bag and mudguard. This suspended and single wheeled bicycle luggage trailer is a unique product for off road and on road cycling and ideal for bicycle touring. 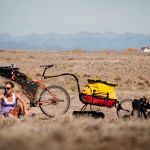 Its also great for mountain bikers who are crossing the Alps or those who just want to take their bike on an unsupported trip with luggage or even just out for the day. 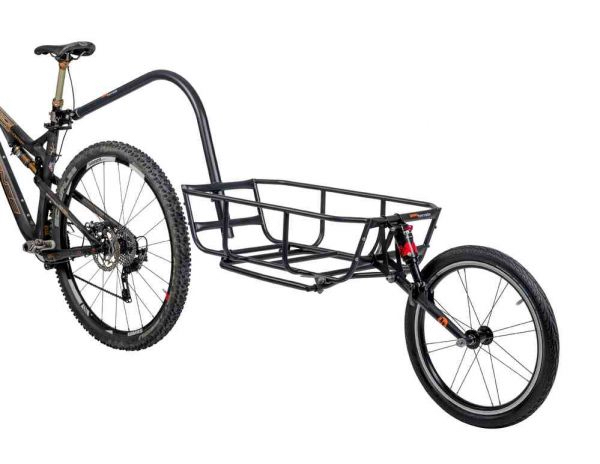 The Mule is the perfect means of transportation. 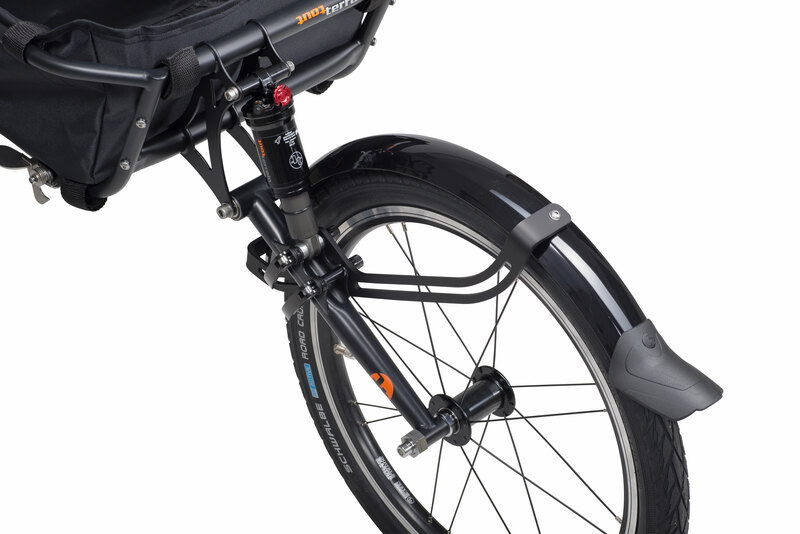 Because of its width of only 45 cm and its single wheeled design even serpentines can be coped with little efforts. 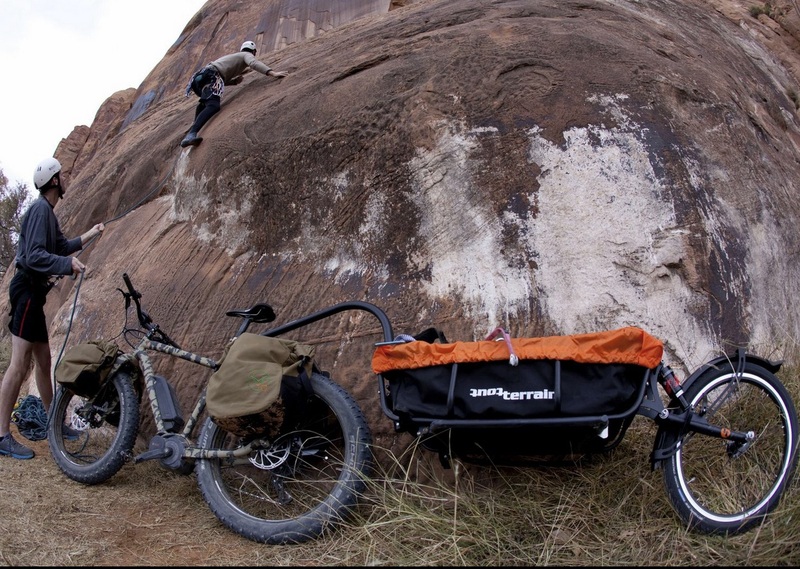 On tour, the bike trailer is a loyal companion, transforming a mountain bike into a touring bike. 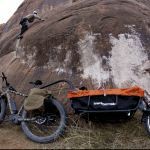 Once the «base camp» has been reached, the trailer can be disconnected and on day trips you can enjoy a true mountain bike ride. 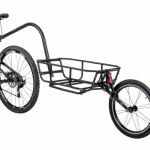 The Mule is designed for off road riding. 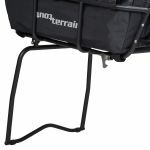 Even on rough sections, it can be run without problems and you almost forget that you are traveling with a trailer. With its large load capacity, it is also great for family trips as parents can easily carry the luggage of their children. 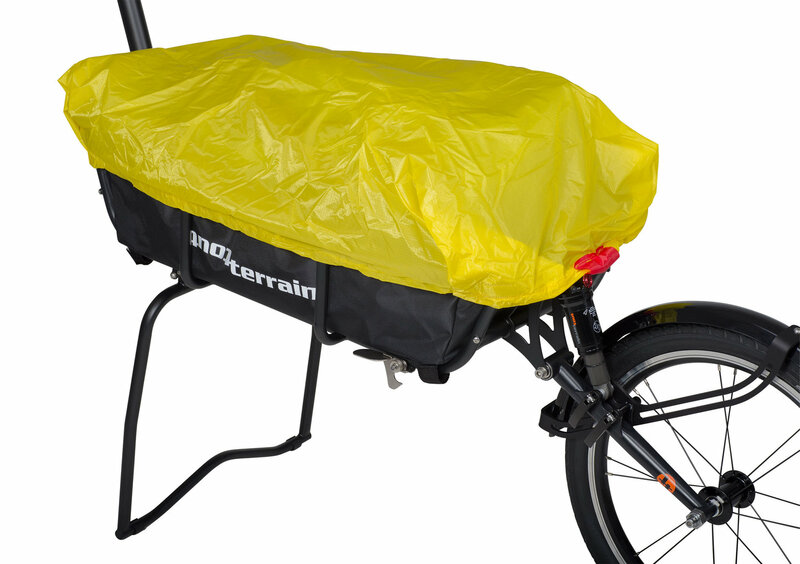 Using the same hitch system as the Singletrailer and Streamliner the trailers can easily be interchanged between bikes. 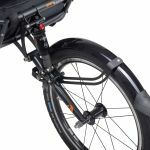 Please note: The Mule Plus is supplied without a hitch and shim. Please order the correct sizes required for your seat post.